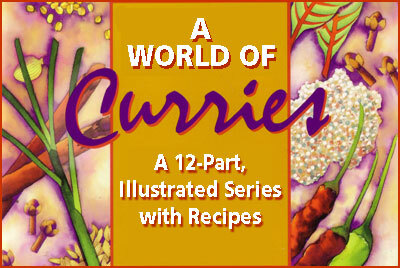 This recipe and others can be found in the 12-part illustrated series “A World of Curries”. You can read all about this unique Indian flavor here. Soak the chiles in water for 20 minutes to soften, then remove and drain. Roast the coriander and cumin seeds for about 2 minutes in a dry skillet, and when they are cooled, grind to a fine powder in a spice mill. 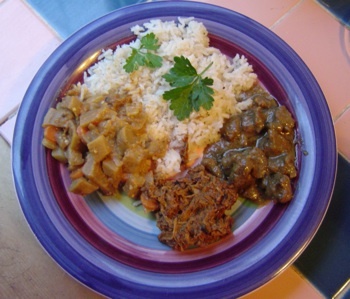 Combine all ingredients in a food processor or blender and puree into a fine paste. 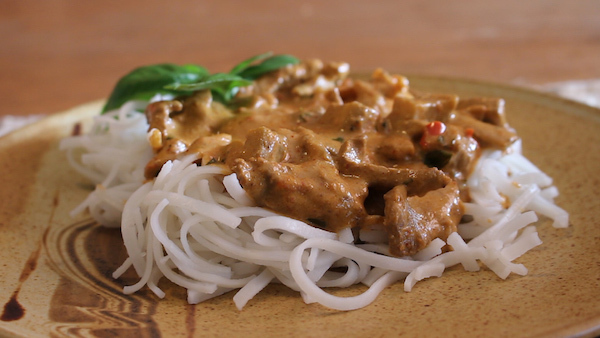 Store it in a tightly sealed jar in the refrigerator.